It was with sadness that the Birmingham Music Archive learned of the passing of Ian Campbell yesterday (Saturday 24 November). Ian, along with is sister Lorna and his Folk Group were part of the British Folk Revival in the 6os and were central figures in the vibrant folk scene of Birmingham. Responsible for the first ever live recorded folk album ‘Ceilidh At The Crown’ in 1962. Following this, they switched their folk club to the Digbeth Civic Hall where they started what was to become the largest Folk Club in England – The Jug O’Punch. At the Jug they performed and played host to luminaries such as Liam Kelly, later of the Dubliners, Joni Mitchell and Paul Simon as well as local and national folk performers. Ian’s group was also home to Britain’s greatest fiddle player Dave Swarbrick and the great guitarist Dave Pegg, both of whom would go on to join Fairport Convention. Fiercely political, Ian remained true to his Scottish and socialist roots throughout his life and never lost the love of playing and interpreting ballads and folk songs live on stage, and it was this environment where his music really came to life. Condolences to Lorna and his sons Duncan, Robin, Ali and David. 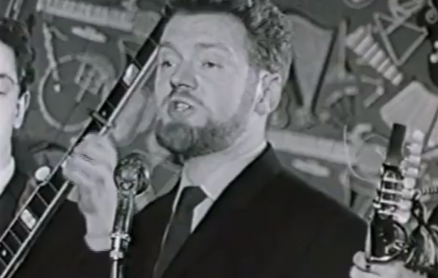 Below is some amazing footage Ian gave to the archive last year of the Ian Campbell Folk Group playing at The Jug O’Punch, we never got to complete the film but it is a fitting tribute to this wonderful person and Folk great. Memories, priceless memories. Some of the best moments of my life were at the Jug. Ian, the rest of the group and mom and dad Campbell gave great encouragement and time to a young man who wanted to be a writer of songs. Hi Harvey this Is Yvonne Dunkerley John Dunkerley’s Widow would love to know how you are e-mail me [email protected] it has been many years eh. Sad news indeed. I saw Ian and the group in the 60s at the Barley Mow in Sheffield and other places and have vivid memory of those nights. More recently Ian was extremely helpful to me while I was researching my upcoming oral history of the folk clubs. Great film here brings back those long gone days. Awesome! Great memories. Folkies dressed in suits! I must dust off my LPs and revisit. An inspiration, an entertainer, a writer of ballads and moving songs. In the sixties he and the band were very supportive of other folk clubs around the midlands and was always very approachable. I could not see me in the audience but I spent many happy Thursdays in Digbeth in the bar with Ian`s mum and dad, Dave Phillips Jon Swift Tommy Dempsey et al. I was pleased to see Ian in good spirits at one of his last public performances at the Moseley Festival a couple of years ago. Condolences to Lorna and the family. We don’t realise that clock tick’s on ;thought he’d be around for more years yet .No more time for another dram .Gone those nights with Betty Dave and Ian in Ivor Road putting the world to right. Condolences to all of the remaining family for their loss. I have listened to Ian Campbells records and although I did not agree with all of his politics I agreed with 90%. He will be sorely missed. Heavens gain is our loss. Thanks for the music and happy hours you gave. Very sad to hear of the loss of Ian, I was just a teenager when we met but I loved their music and have it all here with me in Canada. Sue – John Dunkerley’s sister. Just stumbled across this site. Rekindled wonderful memories of my nights spent at Jug O Punch in Digbeth. Left Brum almost 40 years ago. Remember well being the proverbial poor student and making a pint of cider last all evening. Just loved the music, atmosphere and fabulous company. I went to Saltley college in the late 60s and JOP was a weekly event plus the Grotto and some pubs for folk music. Our college folk band even played one night which I’m sure was a favor from Ian to the guy who led our band – Jon ? – fiddle player. Lorna belting out songs, I have a song book. Also remember Dave Phillips on the Bells of Rhymney. As a former regular at the Jug of Punch (1965-67), I was saddened to read (rather belatedly) about the passing of Ian Campbell – thoroughly nice guy, great musician, and surprisingly underrated influence on the 1960s folk revival. What a sad loss, so many happy memories of wonderful singers and songs, like sitting on the floor (all the seats were full) to hear the McPeake family. There were 2 nuns in the front row. (Ian and co. were speechless!) Another memory is of hearing Joni Mitchell, still unknown to the wider public then. Rest in Peace, Ian, we had some grand times. We regularly visited the Jug o Punch in Digbeth Brum. Some of the best times ever.we saw a very young Jasper Carrot perform there, complete with full head of red hair. We knew he would be a success, he was great ! ! ! The Ian Campbell group were amazing, would love to go back to those days ! !